Who would have ever imagined that we would get a Dum Dum Dugan in Marvel Legends? 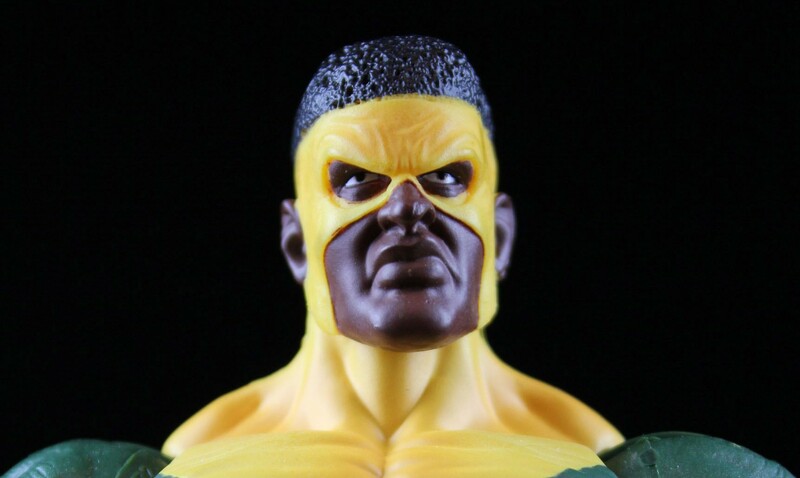 He is just a simple head swap of the Nick Fury figure in Wave Two. Unfortunately, that means he does not have the most authentic comic book look, since he is usually portrayed as having a much more stocky build. I suppose we could just imagine this as being a younger version. Dugan’s trademark English Bowler hat makes the figure recognizable as being Dugan though. Some people have commented that his head seems proportionally small for the body but I think he looks fine. It is good to have him and the generic S.H.I.E.L.D. Agent head is also included this time around which gives you the potential to increase your army building. It would have been a nice touch if they could have given the S.H.I.E.L.D. agent different hair colors for variety. I may do that if I decide to increase my number of agents further. Dugan also has a knife, pistol, assault rifle and the alternate S.H.I.E.L.D. agent head with removable helmet. 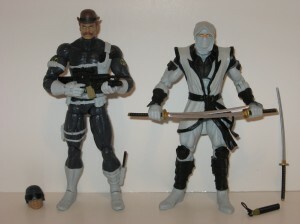 The Hand Ninja is also a re-paint of the earlier release painted in a white and black scheme. Some people are referring to this as a CHASTE Ninja. I do not think this is an exact comic book representation either. If someone could point me to some artwork that this look represents I would appreciate it. I will likely only try to get one, or maybe two more of this Two Pack. Three of the white Hand Ninja’s should be plenty for my display. I would like to add a few more red Hand Ninja’s if we see the first part of this wave return to the shelves. I am so happy to finally own a Stealth Armor Iron Man. I missed out on being able to find the Toy Biz Series One versions of the Stealth and Gold armor variants. I just cannot bring myself to pay $100.00 plus for either of them on E-Bay. (I might if I could win the lottery, but until that happens…) This figure is also a re-paint of the earlier release. I like how the two suits bear a similar look in my display. My only problem with this figure is I think the build of the body could have used a bit more bulk. This should resemble a man inside an armor suit and in the earlier days of Iron Man his suits were heavier, less form-fitting. There is a difference in the shades of blue on my figures extremities. I was not able to compare and pick the best paint job because only one of each Two Pack was available. I do not know if the lighter paint on the arms and legs was intentional. Stealth Iron Man comes with 2 extra hands and a Tony Stark (unmasked) head. 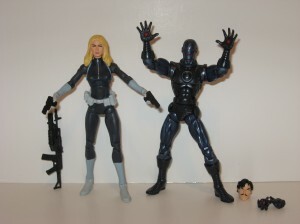 The Sharon Carter figure is also the same figure from the earlier wave. I am not really sure why they did not release Sharon in the first half of the wave and save Maria Hill for the revision. The only change is that Maria Hill’s hair color is switched to a red-head this time. It’s great to have a female S.H.I.E.L.D. agent variant, but I would have liked for the microphone headset to have been removed this time. It would have helped to distinguish this as a different agent more. Another change would have been to color the hair of the extra head in the Maria Hill Two Pack with a black or brown color to give us another variation. I will be displaying this version of Sharon Carter as a generic red-haired female agent. Overall, a great wave of Two Packs! 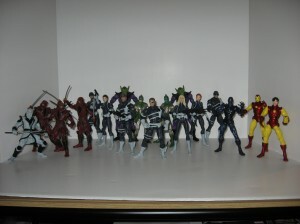 From this wave I have a new Nick Fury, a new Dum Dum Dugan, a new Sharon Carter, a new Maria Hill, 3 new S.H.I.E.L.D. agents, (2 male and 1 female) 2 new Skrulls, 2 new Kree, 3 new Hand Ninjas, 3 new Iron Man figures, (I may repaint my extra yellow and red Iron Man in a more metallic red and gold.) and 1 Chaste Ninja so far. I will be buying more as I can afford to. 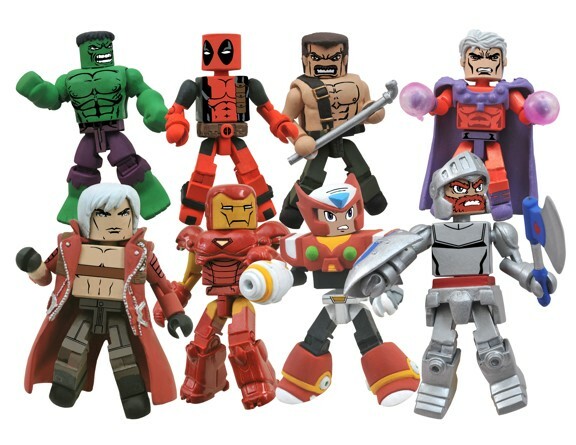 I hope that these did well for Hasbro and Toys ‘r Us and that they will see that the fan’s of six-inch Marvel Legends are still willing to buy these figures. Let’s pump up the releases for 2010 to please.